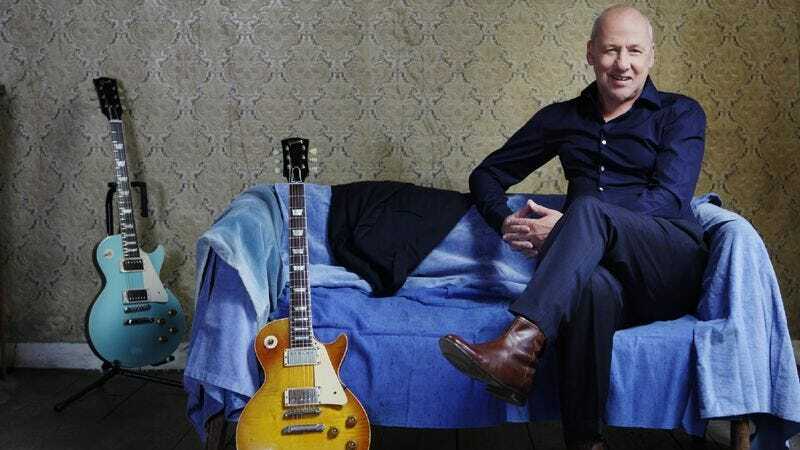 Mark Knopfler has come a long way since his days as founder of British rock band Dire Straits. The prolific guitarist is releasing his eighth solo album, Privateering, on Sept. 10. It comprises 20 tracks and is Knopfler's first double album in a career spanning 35 years. The A.V. Club has the exclusive premiere of one of the tracks, "Corned Beef City." There are traces of country, blues, and folk throughout the record, and this track packs an especially twangy punch. Given the title, it's clearly one of the more playful songs, but a fun listen nonetheless.